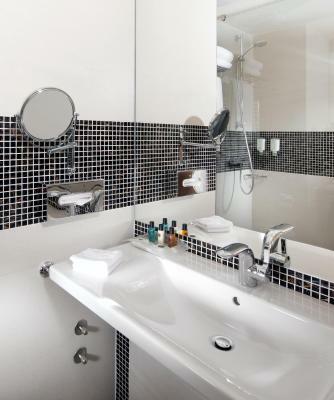 Lock in a great price for Holiday Inn Prague – rated 8.4 by recent guests! They offered free drinks and access to an executive lounge where you could get free drinks, coffee, joices and some sandeiches and sweets. Nice idea. Great locatin, friendly staff. Deliciuos breakfast. We booked twin room but got double bed. Staff apologized and offered twin room in lower room and compensated the downgrade with access to executive lounge which was perfect space to work and have online meetings. Excellent location when attending conference in congress center. Metro stop is couple mins away. Great breakfast as well! A good hotel. Nice rooms with big bathrooms (and a comfortable bath). A large choice of good meals for the breakfast. I arrived in the morning and the staff immediately provided me with the room (few hours before the beginning of the hotel day). Wifi worked wery well. All good. Clean and spacey room. 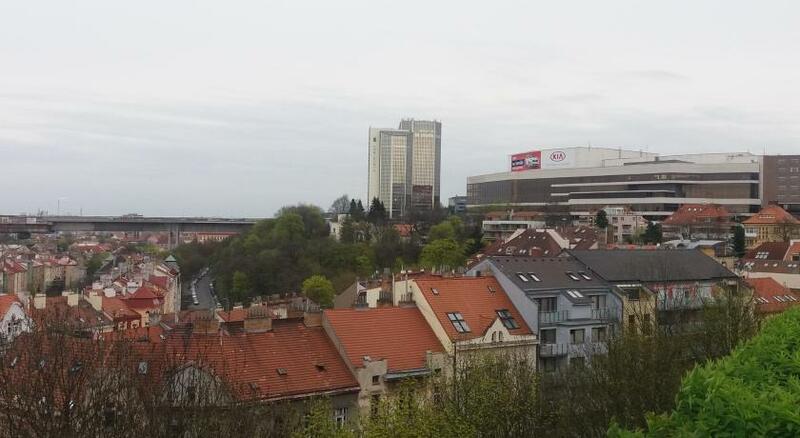 Good location, close to the metro station and Wyszehrad. Excellent breakfasts, very close to Metro station. Location is very accessible, it is close to public transportation. Great hotel for a business stop off right in the heart of Prague. Staff were efficient, warm and courteous going out of their way to assist me in my short unplanned business stay and my first time in Prague. Highly recommend. Holiday Inn Prague This rating is a reflection of how the property compares to the industry standard when it comes to price, facilities and services available. It's based on a self-evaluation by the property. Use this rating to help choose your stay! Holiday Inn Prague enjoys a quiet location, a few steps away from Vysehrad Castle and Park. Vysehrad Metro station can be reached within 500 feet. All rooms offer air conditioning. The rooms are equipped with Satellite TV, a mini-bar and a safe. A choice of pillows and anti-allergic blankets will be provided. The massage room features oriental decoration and offers a wide selection of massages. There is also a small fitness room. Modern Czech and international cuisine are served at the Café Restaurant Esprit which features a winter garden and a terrace. A delicacy bistro is also on site. Historic Wenceslas Square can be reached within 2 stops by metro. When would you like to stay at Holiday Inn Prague? Rooms offer a pillow menu with a selection of 2 different pillows. These rooms are located on the 5th and 6th floor and offer a pillow menu with a selection of 2 different pillows. This twin/double room has a mini-bar, air conditioning and iPod dock. This suite features a satellite TV, air conditioning and mini-bar. This twin room features a electric kettle, air conditioning and mini-bar. House Rules Holiday Inn Prague takes special requests – add in the next step! Holiday Inn Prague accepts these cards and reserves the right to temporarily hold an amount prior to arrival. When booking more than 10 nights, different policies and additional supplements may apply. Please note that your choice of double or twin beds is subject to availability and cannot be guaranteed. Thomas from front reception was amazing! Location, very courteous staff and cleanliness. Can't complain about anything , absolutely amazing! A bit long check in and out process at the reception. Not so fancy surroundings. The internet connection is without password and even if it is protected by firewall it doesn't seem correct. Very good restaurant and dinner.